Donnayoung.org offers free homeschool planners, free printable resources for home, homeschooling, and school, tips, lesson plans, book reviews, calendars, and household planners. EasyFunSchool.com has over 1,500 pages of free unit studies, science projects, recipe and craft ideas, history activities & many other resources to make homeschooling more enjoyable for both child and parent! Eclectic Homeschool Online is an online homeschool magazine and community with thousands of pages of Homeschool resources, homeschool reviews, and homeschool articles for creative, eclectic homeschoolers. edHelper was created by a team of teachers who have edhelped (!) in its development. EDITOR'S NOTE: You need to sign up for a paid membership in order to view most of the material offered on this site. EDSITEment is a partnership among the National Endowment for the Humanities, Verizon Foundation, and the National Trust for the Humanities and is a proud member of the Thinkfinity Consortium of premier educational websites. EDSITEment offers a treasure trove for teachers, students, and parents searching for high-quality material on the Internet in the subject areas of literature and language arts, foreign languages, art and culture, and history and social studies. Don't miss this fantastic resource! Find lesson plans, hundreds of ready-to-print student work sheets, printable tools and templates, access to national and state standards, and more. Educational Songs are both entertaining, and informative. Research shows that children learn better through music than through almost any other medium. Use these educational MP3s to support and enhance your lesson plans. All songs will appear within the KidsKnowIt Network Educational Music Player. Houghton Mifflin Harcourt Publishing Company offers more than just textbook support. At EduPlace.com you can find other resources like shape-book patterns, spelling lists, graphic organizers and outline maps. edWorksheets.com is a subscription-based website from Remedia Publications, but you can find over 80 printable worksheet sets in their FREE zone. No need to sign in or become a member to access these. For full access, consider becoming a member! Enchanted Learning® produces children's educational web sites which are designed to capture the imagination while maximizing creativity, learning, and enjoyment. Site members have access to the entire website with print-friendly pages and no ads. 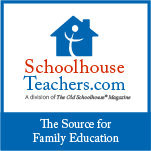 This site offers free homeschool lessons and a free Homeschool Magazine, as well as weekly lessons and more for subscribers. Parents find practical guidance, grade-specific information about their children's school experience, strategies to get involved with their children's learning, free email newsletters, and fun and entertaining family activities. FREE makes it easier to find teaching and learning resources from the federal government. More than 1,500 federally supported teaching and learning resources are included from dozens of federal agencies. New sites are added regularly. FREE is among the most popular K-12 websites maintained by the U.S. Department of Education because of the many great resources being offered by contributing federal agencies. Free Clip Art by Phillip Martin!.. It really is FREE art for your classroom, newsletters, or wherever you can find a non-profit use. Free grade based and subject based curriculums for grades PreK through 5! Grade based curriculums allow parents to access the entire curriculum under a single topic, and subject based curriculums can be used as a supplement any curriculum. JumpStart also has a large collection of fun grade based activities. Free Printable Calendars from Printfree.com Monthly calendars to print. Cheap enough to write on, fold up, and throw in the glove box for future reference. Nice enough to display in the office. These are very conservative on ink usage to keep printing costs down. Free World U offers a complete preschool through 12th grade curriculum. They invite you to study their online flashcards, free of charge. Their knowledge base covers everything from Preschool to Medical School! Their electronic flashcards enable students to master curriculum content quickly and efficiently. You will need to register, however, registration is free and not obligatory in any way. Freeology provides free school resources like graphic organizers, teacher forms, printables, worksheet makers, calendars, clean jokes and journal topics. Review of the Best apps for kids to turn your iPod Touch, iPhone or iPad into a Fun Educational Learning Center with some top fun educational apps for children. Find out all about the best Kids Apps that make learning fun.